A long-dormant evil emerges from the caves of Mars, unleashing Armageddon on the planet's colonists. With this force stopping at nothing to cleanse the planet of life, mankind finds itself poised on the brink of extinction. 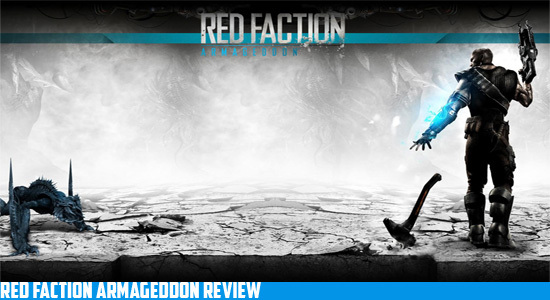 Red Faction: Armageddon expands on the critically acclaimed, best-selling franchise with new, groundbreaking challenges. You are humanity's last hope for survival. 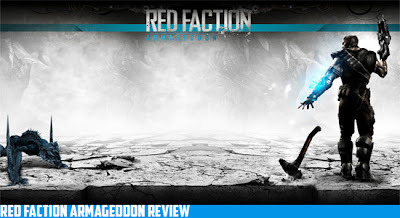 The Red Faction series has come a long way over the years, but it’s Armageddon a step into the future or the past? One of the first noticeable things is just like the original you are stuck underground. They did a great job of blending old school ideas with new school technology so if anything they at least deserve some credit for that. There are plenty of great weapons at your disposal, but your main weapon will be the laws of physics much like in Guerilla. The multiplayer offers tons of fun options and while the appeal is not on the scale of Call of Duty or Battlefield, there is still tons of fun to have. 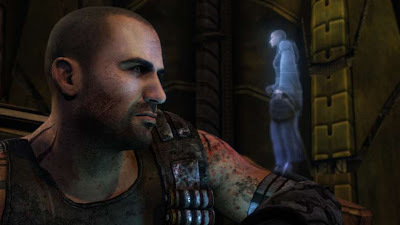 Red Faction Armageddon also sports some nice cut scenes and voice work, which makes killing aliens tons more fun. Like I stated before the voice work is great, but unfortunately it is tied to one of the most unoriginal stories I have seen in a game too date. Every element of it is weak, and not just the story the characters are less than interesting in every single aspect. 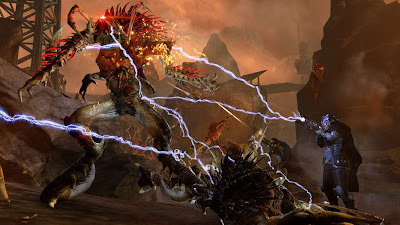 The problem with being underground for pretty much an entire game is everything looks bland and boring after a while. You then add that to almost all of the aliens looking exactly the same and the campaign will get boring really fast. The best part about the campaign was getting to experiment with the physics engine on builds and aliens. Which is unfortunate compared to Guerilla’s decent campaign and storytelling, it really put this game to shame. a bit because it’s definitely not worth the $60 price tag.